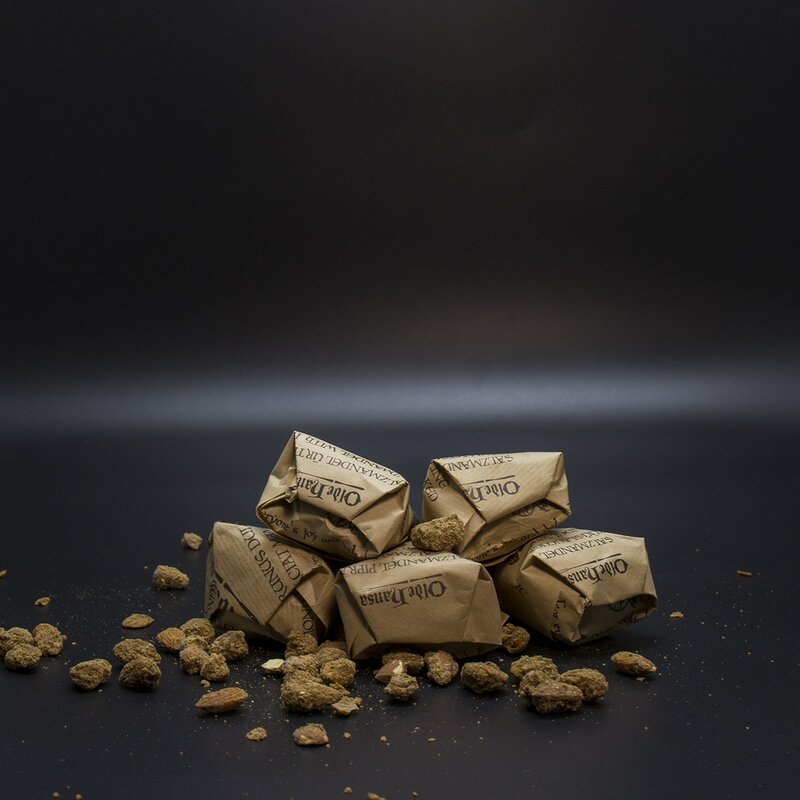 Our master cooks have worked with 14th century recipes to create our tasty sweet almond treat. Guaranteed to please your palate, according to Bartolomeo Sacchi, a 15th century cook and philosopher, they also help guard against drunkenness. vanilla aroma, glycerol, glucose syrup, dextrose, milk powder, soy protein.